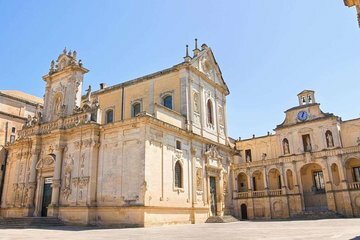 Discover the stories of southern Lecce without spending a fortune on guidebooks with this morning tour of the city center. Starting from the iconic Piazza del Duomo, hear the history of this city as told through its buildings. Visit sites from across the ages, from the classical Roman amphitheater to the baroque Basilica di Santa Croce. Don’t get pushed to the back of the group, either: on this small group walking tour, get personalized attention from your guide and answers to all your questions.